Many women are aware of the benefits of a strong, fit pelvic floor and many know that they should "do their pelvic floor exercises" or "Kegels". So why do so many women suffer from the consequences of a weak pelvic floor? The answer is that the key to success has been lost over the years, as the principals that Kegel established over 60 years ago have been eroded or forgotten. Pelvic floor exercises were identified as a treatment for a weak pelvic floor by Arnold Kegel back in 1948. Following extensive research and trials, he identified key principles for effective "Kegels", as pelvic floor exercises have become known (read more about "Kegels"). 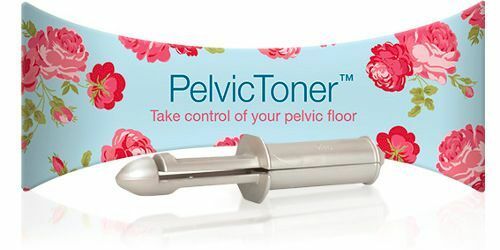 The PelvicToner is specifically designed to bring these principles to your pelvic floor exercises, enabling you to exercise your pelvic floor muscles effectively and quickly helping you to get a fitter, stronger pelvic floor. The PelvicToner provides actual physical feedback which shows you when you are exercising the right muscles and help you to learn how to squeeze them properly. This both ensures you are working the right muscles and reassures you that are doing so. Rather than just tensing your muscles, when you exercise with the PelvicToner your muscles are working to close the device by closing it against a spring. Think of it as weight lifting, instead of tensing your muscles in front of the mirror! When you exercise, it is important to be able to measure your performance. When you know how you are performing, you can exercise at the right level to maximise the benefits and maintain your motivation. The PelvicToner offers 5 levels of resistance and, by varying your exercise programme, you can ensure you are always working at an optimum level. As your muscles get stronger and fitter, you can increase your performance by increasing the resistance and number, frequency and type of repititions that you do. The PelvicToner has been the subject of clinical trials in both the US and the UK. Both trials concluded that the PelvicToner offered an effective treatment for health conditions caused by pelvic floor weakness. Available on prescription - you can get one from your GP. Clinically proven - shown in clinical trials to be an effective aid to Pelvic Floor Muscle Treatment. Available online for only £29.99 delivered, why don't you take control now?